« LOST Countdown – TOMORROW! It’s finally LOST premiere day! I’m so excited about it!! ABC has an all new recap special called LOST: FINAL CHAPTER – Michael Emerson narrates a look back at the previous 5 season of LOST. Normally, I don’t watch the recap episodes, but I’m so excited about this one, I must watch! CBS has a new episode of NCIS – terrorists threaten to detonate a dirty bomb in DC and the team works to stop that from happening. FOX has an all new episode of AMERICAN IDOL – the auditions head to Denver and Victoria Beckham is back as a guest judge. NBC has a rerun episode of THE BIGGEST LOSER: COUPLES. Over on The CW, check out a repeat of 90210 – the episode where the paper investigates drug use at West Bev. 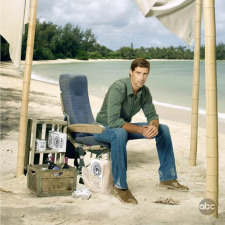 On ABC, it’s finally the season premiere (the final season premiere) of LOST! I am completely unspoiled about the new season, aside from some casting notices here and there. The description of the ep says that the gang deals with the aftermath of Juliet’s setting off the bomb. CBS has an all new episode of NCIS:LA – two fake Marines are found near where a deadly toxin was made. THE BIGGEST LOSER starts an all new two hour episode on NBC. FOX has an all new episode of KITCHEN NIGHTMARES – Ramsay heads to Flamango’s in Whitehouse Station, NJ. The CW airs a repeat of MELROSE PLACE – Riley and Jonah have a fight at a wedding that they’re shooting video for. 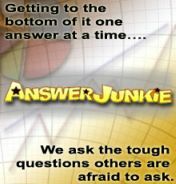 A&E has an all episode of PSYCHIC KIDS. 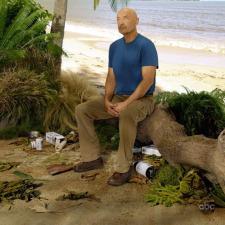 ABC has hour 2 of the season premiere of LOST. On CBS, catch an all new episode of THE GOOD WIFE. Peter’s appeal trial starts. Alicia also defends a man she isn’t so sure is innocent. In a rare change, THE BIGGEST LOSER takes over LENO’s slot to compete with LOST. Check out an all new episode of PARANORMAL STATE on A&E, followed by PARANORMAL COPS. There’s another new episode of TEEN MOM on MTV – it’s the reunion special with Dr. Drew. You can also find a new episode of MILLIONAIRE MATCHMAKER on Bravo – Patti revisits Shauna, an old client she didn’t necessarily get along with. Don’t miss another great episode of SOUTHLAND on TNT. The teams find a “Sally in the Alley” – a dead woman whose body was being use for target practice by gang members. We also find out some interesting information about Moretta’s sister. Over on USA, check out an all new episode of WHITE COLLAR. Neal uncovers a human organ harvesting ring and Peter and Neal work to uncover the ring leader! Did you enter the giveaway for some great WHITE COLLAR stuff? Go, now, do it!